Factors like sun exposure, climate and frequency of washing can affect the longevity of your vehicle wrap. 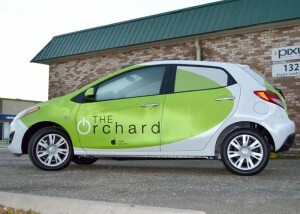 Under normal conditions, the average lifespan of a vehicle wrap is about five years. Always have your vehicle wrap installed by experienced professionals, like Pixus, for the best and longest lasting results. Washing can be a big issue with wrapped vehicles, but washing the vehicle by hand using a non-abrasive cleaner and soft rag can help to decrease the chance of damaging your wrap. If you have to pressure wash your commercial fleet vehicles, never set the water pressure higher than 800-2000 psi and maintain a minimum distance of 12-14 inches from your vehicle. If your vehicle wrap is showing signs of wear or needs a design update, bring it to a professional to remove and replace without damaging the paint of your vehicle. 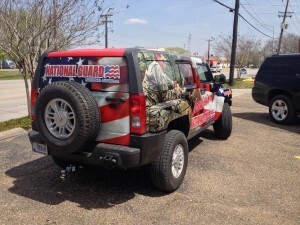 So you took the leap and invested in your business by getting a vehicle wrap for your car. Now what? Vehicle wraps offer great promotional value for your business and when properly taken care, they can last your business a long time. When installed properly, you don’t have to worry about much when it comes to the durability of the wrap, but there are things to be aware off if you want a long-lasting wrap. This is a common question we get from customers, and it makes sense—you’ve invested marketing resources in a vehicle wrap and want to know what kind of return to expect. The answer depends on a number of factors such as sun exposure, climate, frequency of washing and more. Wraps do not last as long on vehicles that are out on the road every day and in the sun a lot. With heavy wear and tear like this, the life expectancy may be as short as two years. However, even something as simple as parking in the shade could increase the life expectancy of your vehicle wrap dramatically, to around three or four years. Vehicles that experience lighter use can often have wraps that last seven years or more. Under normal conditions, the average lifespan of a vehicle wrap is about five years. Another factor that can impact wrap lifespan is the installation process. A wrap that’s not properly installed can quickly start showing signs of wear, conditions like peeling or getting dirty under the wrap. 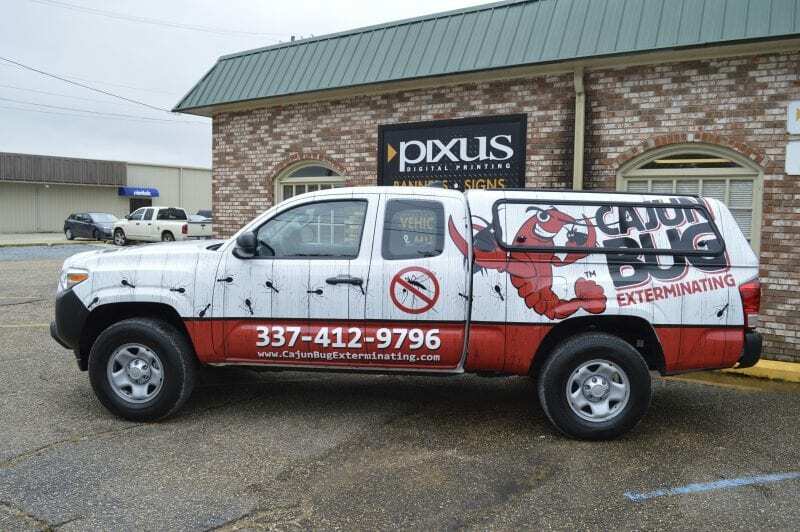 Be sure to choose a professional company, like Pixus, that specializes in vehicle wraps for the best and longest lasting results. Proper care and maintenance are the best ways to extend the life of your vehicle wrap and get the most benefit from your investment. Parking in a garage or a shaded area and keeping your vehicle clean can help to reduce damage to the wrap. Harsh temperatures or exposure to other extreme conditions can cause small bubbles to appear in the wrap, typically during the first couple of weeks. If you notice such bubbles, avoid pressing on them or attempting to fix them yourself. Instead, it’s best to bring your vehicle back to where it was wrapped, and let the installation professionals work to fix the problem with a little bit of heat. The good news is that whatever the reason, it’s possible to remove the vehicle wrap without damaging the paint. This is one of the benefits of a wrap instead of a paint job. 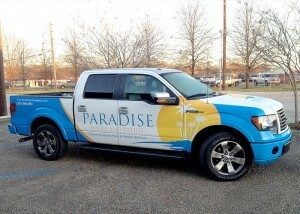 Vehicle wraps are a great way to advertise your products and services. They can look great and last a long time with a little extra care, making them a good investment for companies large and small. For more information on upkeep with your car wrap or taking a step to get a car wrap installed on your vehicle, contact us and our trained team members can assist with any questions you may have.